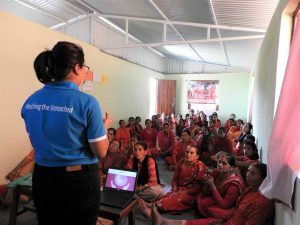 To inaugurate and handover the newly built women center NJSI team went to Haibung-3, Sindhupalchowk on 22nd of November, 2018. 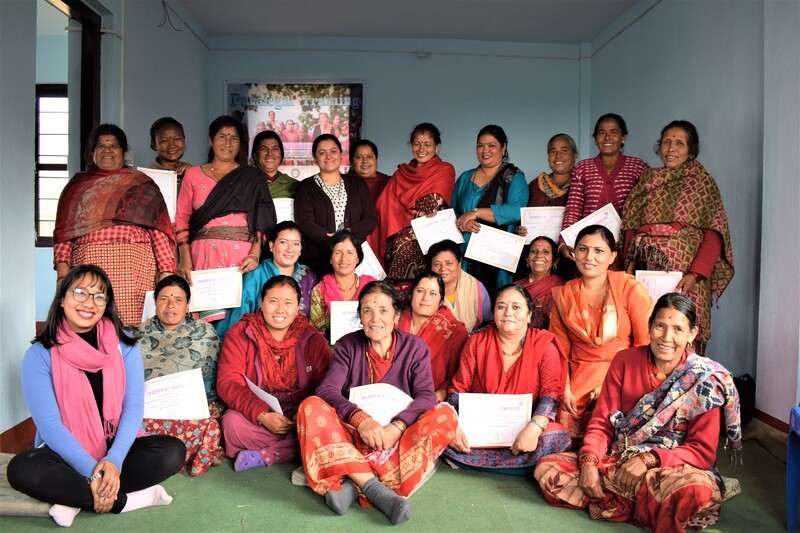 The agenda behind building women center is to provide women with a safe shelter where they can come together to hold meetings and organize programs for themselves as well as center can be used for upliftment of the entire community. In presence of 36 local participants, the key was handed over to the chairperson of Majuwa Swabalamban women group. The program started with the national anthem and lighting of the lamp. 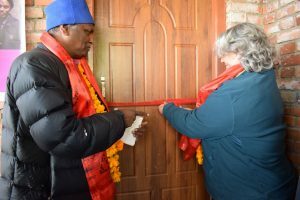 Then it was followed by speeches from appointed chairperson of women center, chairman of the village and NJSI guest Lucia. 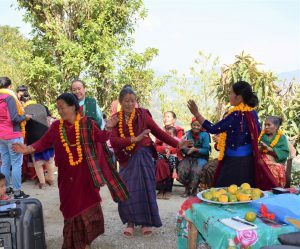 The women group also performed dance. 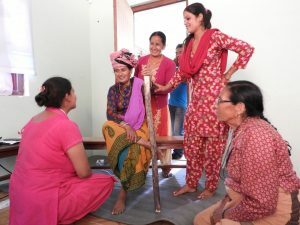 To end the program, mats were distributed and finally handing over of the center was performed. The program was well organized and was not much time consuming. Every one participated and helped each other. 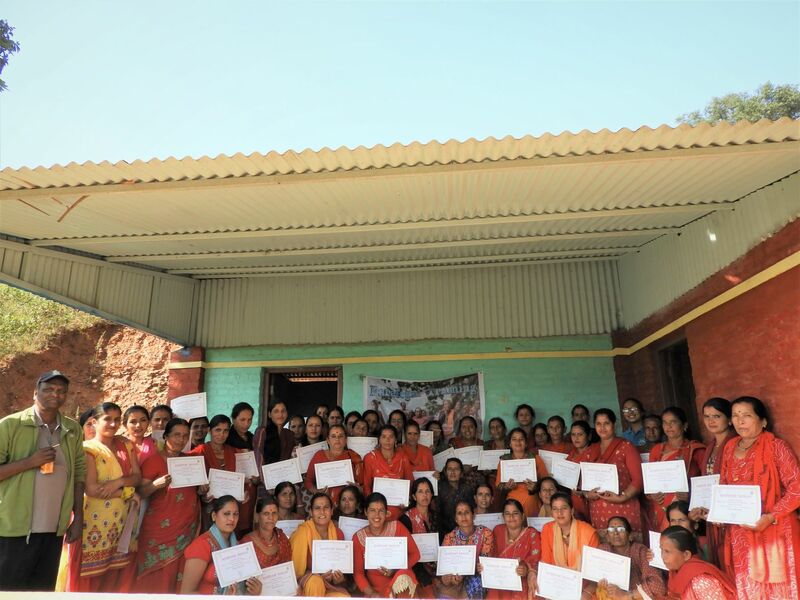 The gratitude of the beneficiary women were exhibited in the warm welcome they provided to the team. 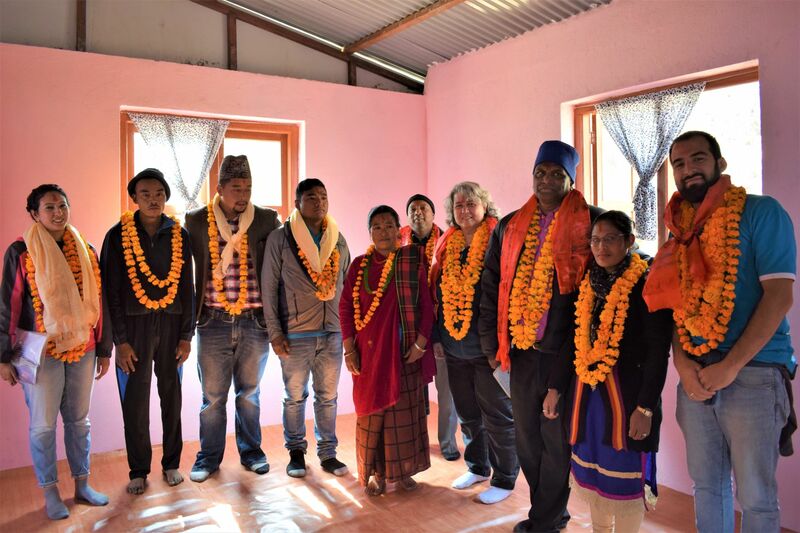 Mr. Ram Kumar Gurung, was strength of the village because of his continuous support whether it be in terms of providing the land or supervising the construction with deepest wishes for the development of his village. 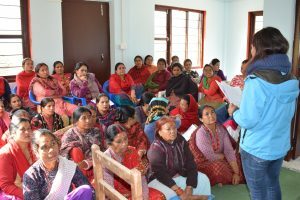 Chairman of the village, Mr. Basanta Gurung also took the opportunity to express his thankfulness towards NJSI and assured to help the women in empowering them and to make good use of the center. Personal Development Camp is a program designed to help the students identify their potential and encourage them to be mindful of self, community and environment through promotion of critical thinking by conducting interactive sessions and at the same time to make them aware of the environment issues by establishing Eco-club with the student representatives of the school. 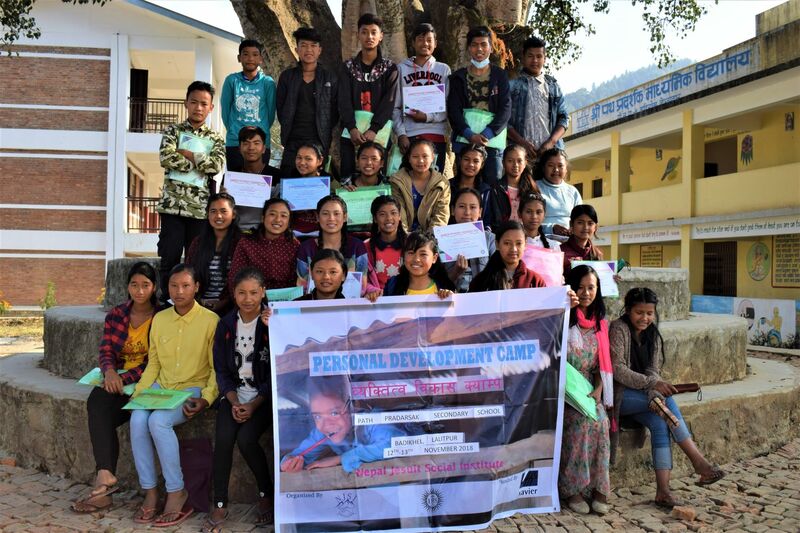 This time the camp was held for the students of grade 8 and 9 of Shree Path Pradashak Secondary School, Badikhel, Godawari for 2 days. There were altogether 72 participants and a teacher who continuously helped in conducting the program. 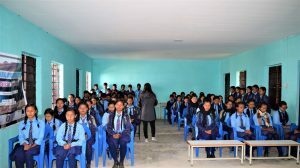 On 12th November (first day) the students from class 10 were invited to participate in the first session of the camp “Higher Education and Dreams” to make the students know about themselves, their strength and aim and to inform about education systems and scholarship available for education. After the break, class 10 students left and the program was followed with critical thinking session. On day 2, program went well with session on “Eco Club’s Importance and Formation” and “Child Rights”. The executive members of Eco club was formed with President, Vice President, Secretary, Treasurer and Logistics In-charge. The club formation was followed with School Cleaning Competition where 6 groups were asked to collect maximum amount of waste inside the school compound. The program ended with certificate, gifts and prize distribution. The students seem interested in every activities and had a frequent interactive session. The students reflected very well about what they learnt during the session. Most of them responded that they are clear now about their aspirations in life and have got better knowledge about the scholarships available. They also made inferences about the content they learnt during the session making connection with their personal life.